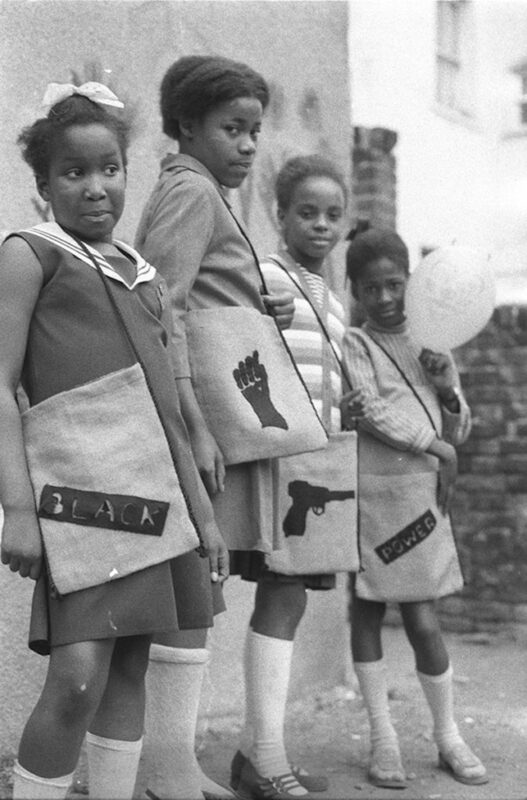 Black Panther school bags, London, 1972. Fibre-based silver gelatin print, 12 x 16"© Neil Kenlock / Courtesy of Autograph ABP, London. Supported by the National Lottery through the Heritage Lottery Fund. Fibre-based silver gelatin print, 12 x 16" © Neil Kenlock / Courtesy of Autograph ABP, London. Supported by the National Lottery through the Heritage Lottery Fund. 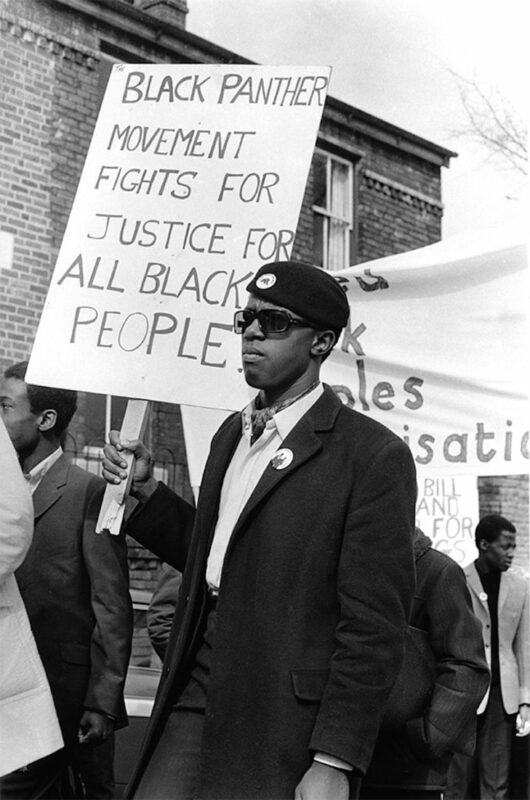 Untitled (Young men of the Black Panther movement march in support of black community), London, 1971 Fibre-based silver gelatin print, 12 x 16" © Neil Kenlock / Courtesy of Autograph ABP, London. Supported by the National Lottery through the Heritage Lottery Fund. Keep Britain White' graffiti, Balham, London, 1972. Fibre-based silver gelatin print, 12 x 16" © Neil Kenlock / Courtesy of Autograph ABP, London. Supported by the National Lottery through the Heritage Lottery Fund. 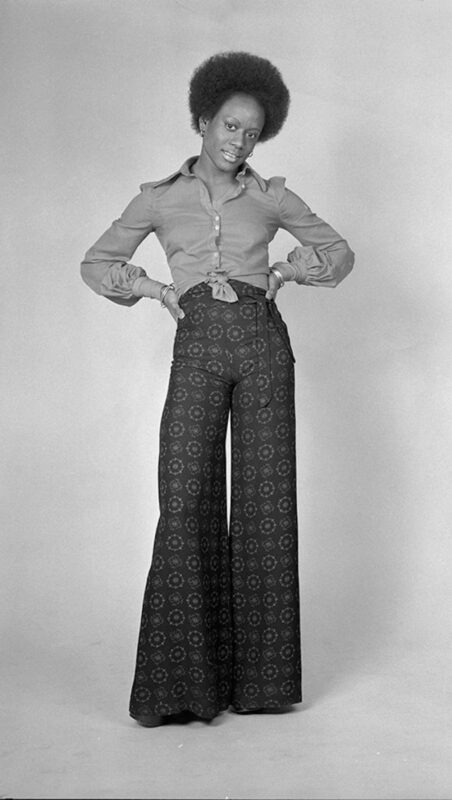 Leila Hussein at a demonstration, London, c.1970. Fibre-based silver gelatin print, 12 x 16" © Neil Kenlock / Courtesy of Autograph ABP, London. Supported by the National Lottery through the Heritage Lottery Fund. 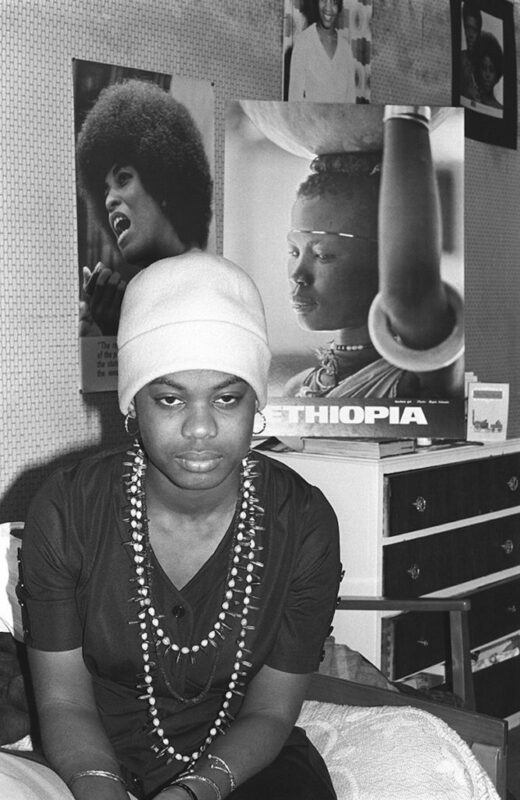 West Indian Girl of the Month, London, 1976. Fibre-based silver gelatin print, 12 x 16" © Neil Kenlock / Courtesy of Autograph ABP, London. Supported by the National Lottery through the Heritage Lottery Fund. 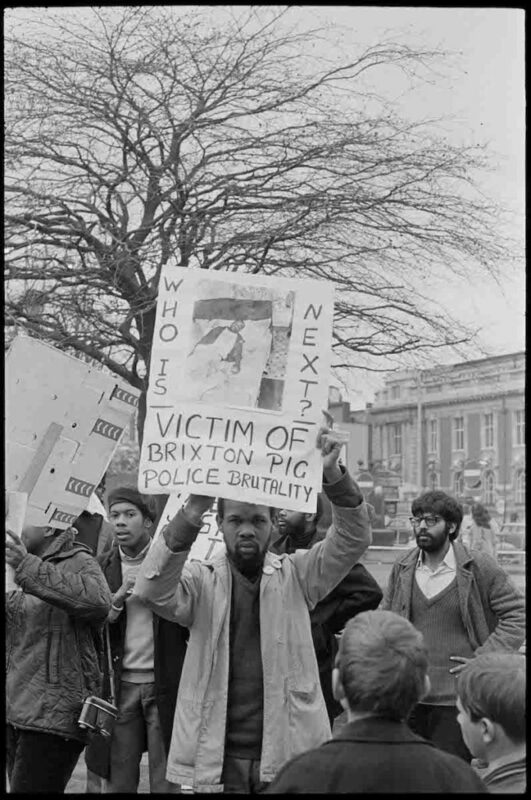 Untitled (Demonstration in support of Joshua Francis), Brixton, London, 1972. Fibre-based silver gelatin print, 12 x 16" © Neil Kenlock / Courtesy of Autograph ABP, London. Supported by the National Lottery through the Heritage Lottery Fund. 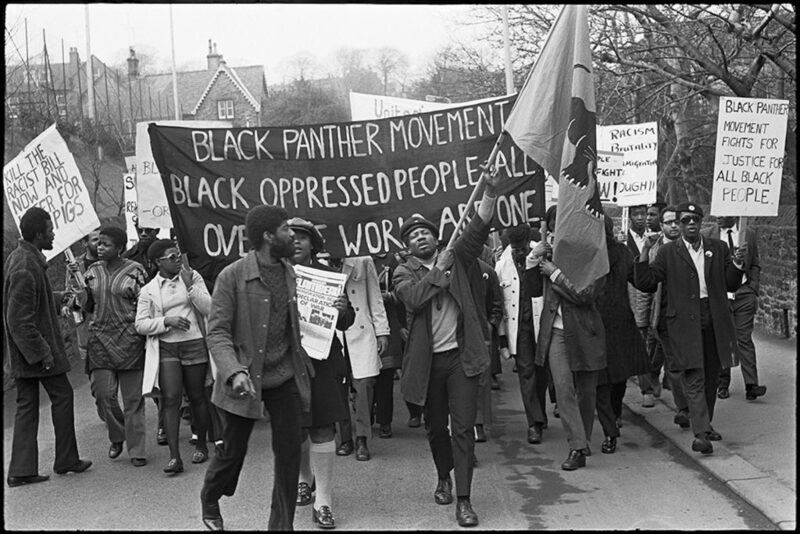 Untitled (Black Panther Movement demonstration against the Immigration Act), Nottingham, 1971 Fibre-based silver gelatin print, 12 x 16" © Neil Kenlock / Courtesy of Autograph ABP, London. Supported by the National Lottery through the Heritage Lottery Fund. Neil Kenlock was born in 1950 and grew up in Port Antonio, Jamaica where he lived with his grandmother until 1963 when he moved to join his parents in Brixton. He went to school in Tulse Hill where he developed his passion for photography. 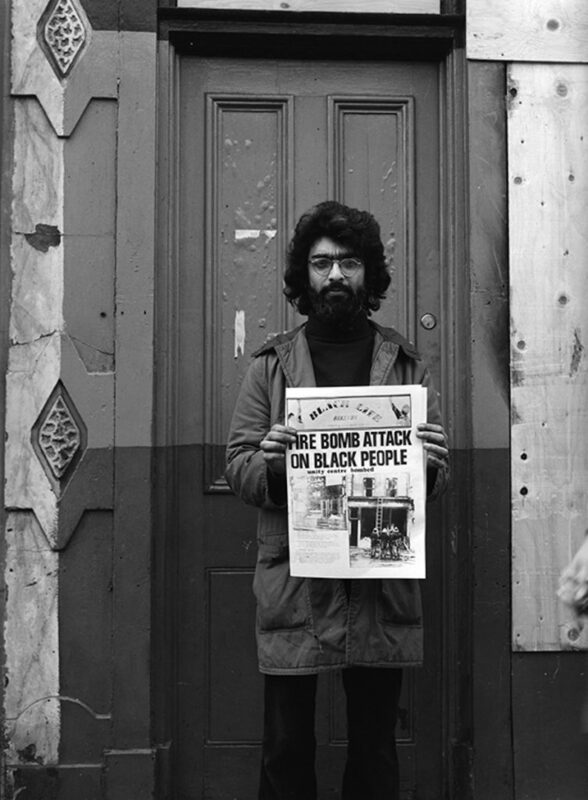 As an active member of the Black Panters, Kenlock took pictures of the group’s efforts to improve the rights of black Britons, and raise awareness of wide-spread police brutality and perpetual discrimination. 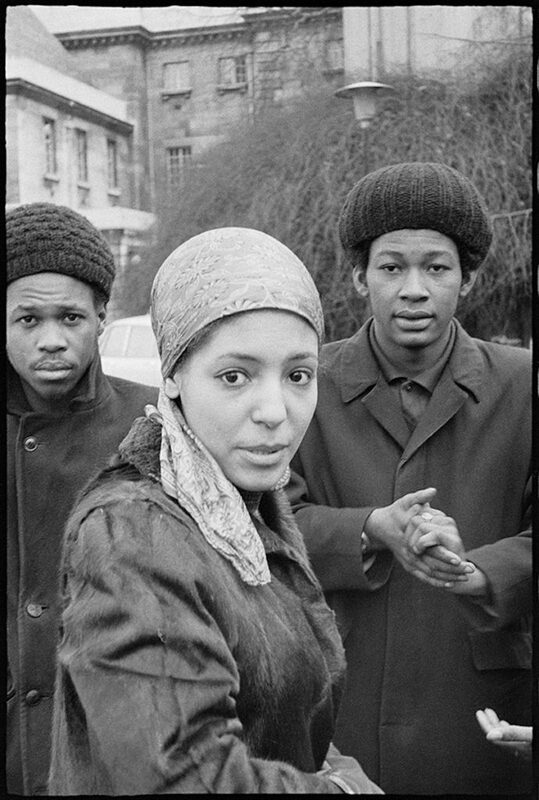 He captured images of the group’s meetings, campaigns, marches and presence in local communities, and also portrayed many of its members, which included prominent figures such as Linton Kwesi Johnson, or the late Olive Morris and Darcus Howe. 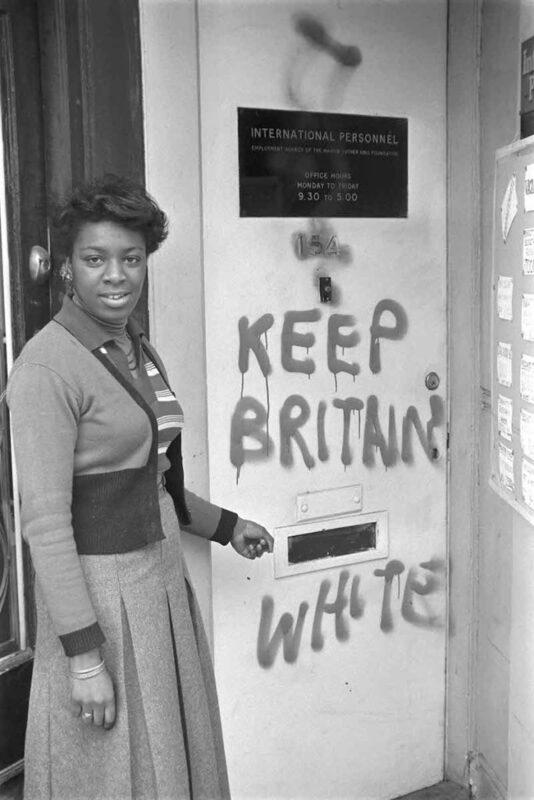 One of Kenlock’s most celebrated images from this era is his iconic 1972 photograph of a young woman standing next to racist graffiti at a black women’s training centre in Balham, south London, reading ‘KEEP BRITAIN WHITE’. Lesser known bodies of work from this period include front room family photographs in colour, depicting British Caribbean people at home, conveying an intimate sense of pride and belonging. In 1979 Kenlock co-founded Root magazine, described as the first ‘glossy’ magazine for African-Caribbean Londoners, and in 1990 he was instrumental in the formation of Choice FM, London’s first legal radio station devoted to black urban music. His work is represented in major public collections nationally, including the National Portrait Gallery, Victoria & Albert Museum and Tate in London.